Community garden where roughly 10 community members have plots. 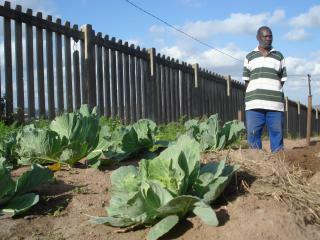 Peanuts, mdumbi, mealies, squash, cabbage, strawberries, and more grown on site. Produce available for sale in the mornings. Muirton Rd junction with Willows ave.